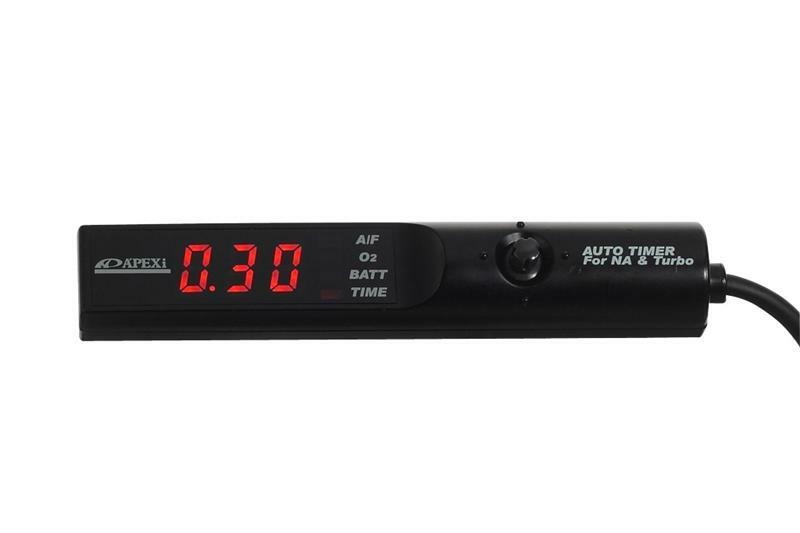 405-A021 - APEXi Electronics - Auto Timer - TRU Motorsports International LLC - Your Car and Truck Headquarters! The Apex Auto Timer allows the vehicle to idle for a preset amount of time after the ignition key has been removed. In turbocharged vehicles this prevents hot oil in the engine from coking up in the lines. Hard driving can raise engine oil temperatures to dangerously high levels. Proper cool down is essential for a healthy turbo and engine. The Auto Timer stands as a technological marvel. The pen shaped, compact size makes the Auto Timer one of the smallest turbo timers on the market. This allows a clean and stylish installation virtually anywhere inside the car. The unique multi angle joystick button allows easy navigation through the many feature menus. Upgraded in every way from the previous model, the new Auto Timer can automatically determine the necessary amount of after idling time. A Manual Mode allows the user to preset desired idling times from 0 sec.~10 minutes in 16 increments. By inputting O2 sensor voltage, the Timer can also display theoretical air fuel ratio. Since the Auto Timer uses the factory O2 sensor which is primarily designed for emissions, the readings may not be as accurate as racing air/fuel ratio monitors. The Timer can also display critical data such as O2 sensor voltage and Battery Voltage. To prevent potential theft while running, the handbrake safety feature shuts off the vehicle when the handbrake is released without the ignition key.